Keep in mind that if we have two versions of the 1st team if you want to see the 1st team. 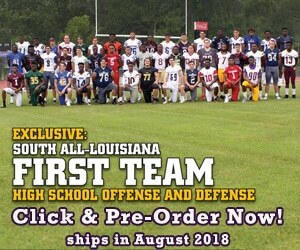 If you want to see the first part of our 1st Team All-Louisiana team, buy our preview magazine in the link below. Miles Lapeyre had one of the best single seasons of a Louisiana QB in 2015. He threw for 2,700 yards and 40 touchdowns along with 650 rushing yards and 9 rushing touchdowns. Lapeyre has had a great career,and if you combine the stats with the QB that played before Lapeyre in Jabiari Tyler ,who is now with Stanford, the passing yards and touchdowns would be record breaking. He can sling it and reminds me of Ty Detmer from BYU. He is smart and has a quick release. His top schools are Columbia, Cornell, Princeton, and Air Force. When he is not playing football, Miles Lapeyre likes to spend time with his friends. Robert Scott Foust is a tall kid at 6’3 but is not filled out. Foust is going to be a better quarterback in college because he is raw and plays in a run first offense. His senior season will dictate where he goes. He can run and has really good feet for a tall lanky guy. 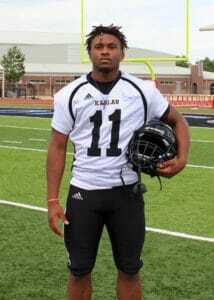 I think that he is a small D-I college prospect and schools like Southern Miss, Troy, TCU, etc. have had success in training quarterbacks like Robert Scott Foust. Last year, he threw for over 1500 yards, ran for 200, and had 15 touchdowns. As of right now, Foust is wide open for colleges. Wayne Griffin is a big time quarterback. He missed a lot of time because of injury last season. 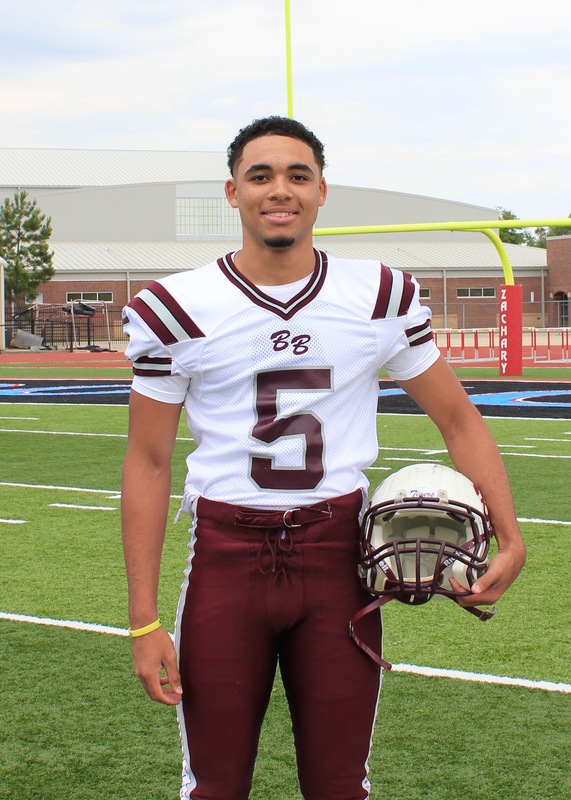 Wayne will break out his senior year because he has great feet and has an SEC arm. He can really throw the football. Last year, Griffin threw for over 1489 yards along with 13 touchdowns. His top schools are Northwestern State, Nichols, Wake Forest, and McNeese State. When the season is over, he likes to hunt, fish, and hang out with friends. 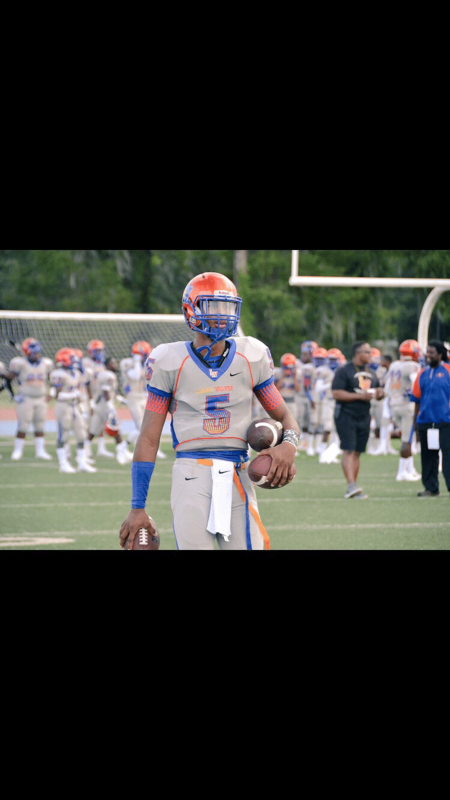 Keytaon Thompson is the most gifted quarterback in the state. Thompson is an All-State basketball player and a top recruit for basketball. He can reach way above the rim and is probably the best 2 guard to come out of New Orleans in a long time. 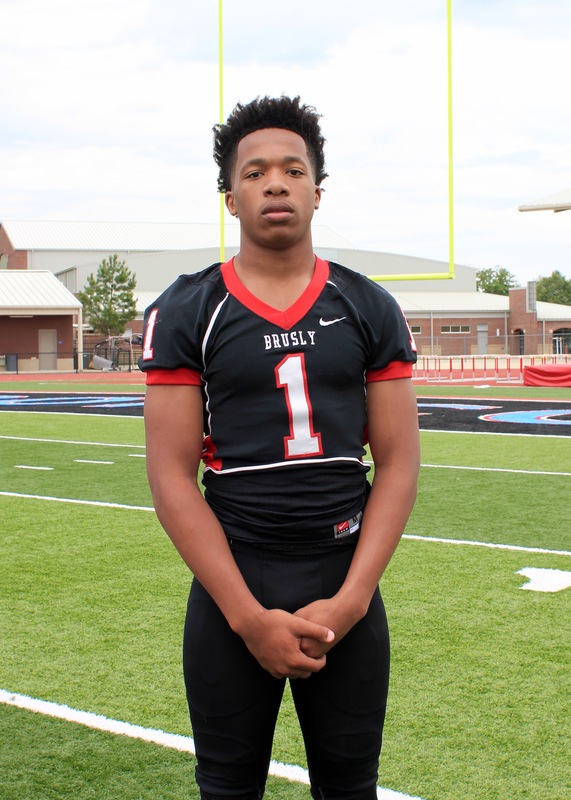 Keytaon Thompson is a freak athlete at 6-5 220 and what is scary is that he can run a 4.40. 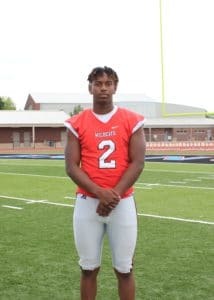 The question is will he play basketball at Mississippi State where he is committed to play or play football for the Bulldogs. If he plays football, he can be just as good as record breaking Mississippi State quarterback Dak Prescott who played at Haughton High School. 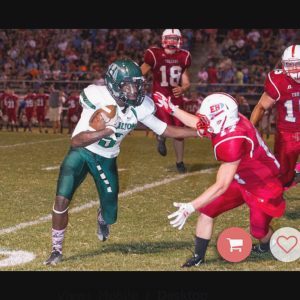 Devion Warren is one of the top athletes in the Monroe area with his legit 4.5/40 speed. As of right now, he is committed to Arkansas. 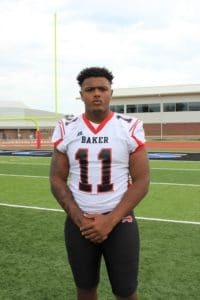 Devion Warren has a good arm but he is not a quarterback at the D-I level. However, he would make a great corner or slot receiver and has the size to play both. 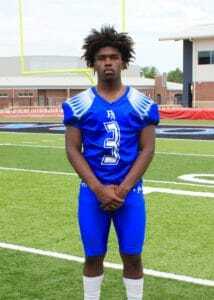 Jarious Robertson is the best player to come out of Port Allen since Jerome Peterson who played linebacker for Nebraska in their hayday and Brandon Williams who played Safety for LSU in the early 2000’s. He is probably the most underrated prospect in the Baton Rouge area and is a highlight reel when he runs. Robinson also has a cannon arm but he is not a college quarterback. He would make a phenomenal slot wide receiver, running back, or kick off/punt return specialist. 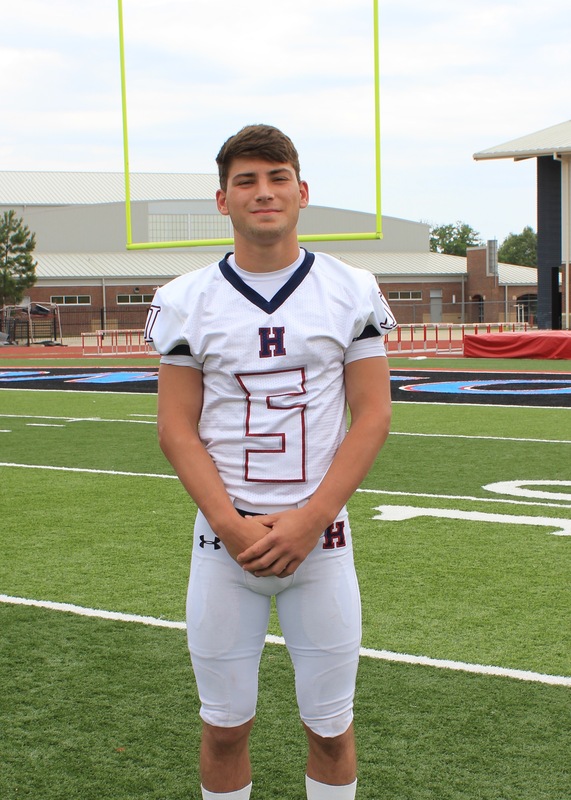 Hayden Cantrelle is one of the toughest athletes coming back this year. Cantrelle will play wherever the team needs him and can do it all. He can run and hit. Hayden Cantrelle is also a two sport star as he plays football and baseball but he signed with baseball to play for the Ragin’ Cajuns. 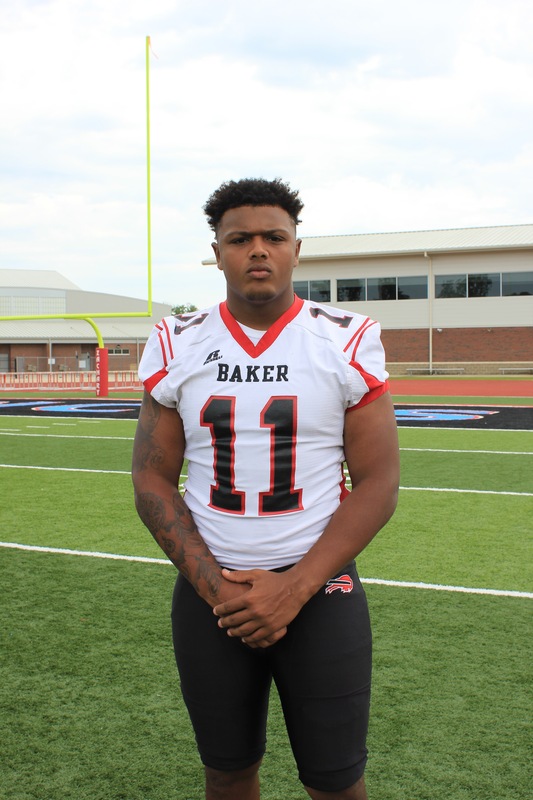 Jason Holliday is like Keytaon Thompson but a little thicker. LSU will definitely monitor him because he is 6-4, 220 and can run a 4.5/40. 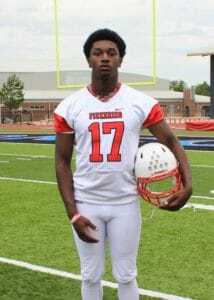 Holliday can play linebacker or wide receiver like Jazz Ferguson from West Feliciana who plays wide receiver for LSU. Along with Robertson from Port Allen, they are the top two senior athletes in the Baton Rouge area. Last year, he had over 1,000 yards rushing and over 1,000 yards passing with 22 total touchdowns. As of right now, Jason is wide open for colleges. When the season is over, Holliday likes to play basketball. Jamal Walters is the best athlete on a team that is full of athletes. He was named All-State last year and intercepts everything in sight. Jamal runs a 4.4/40 on turf and is a great athlete. I love how he is aggressive when he plays the ball. Byron Walker plays quarterback for Sulphur and is one heck of a football player. He is one of the best senior athletes in the state because he is strong and tough. I believe he can still play quarterback but for smaller schools. The question is does he sign with a small school and play quarterback or does he sign with a bigger school and play runningback or defensive back. The thing that I like about him is that he plays a lot bigger than what his size indicates. Last year, Walker had over 1,452 passing yards, 974 rushing yards, and 28 touchdowns along with a lot of awards and recognition. 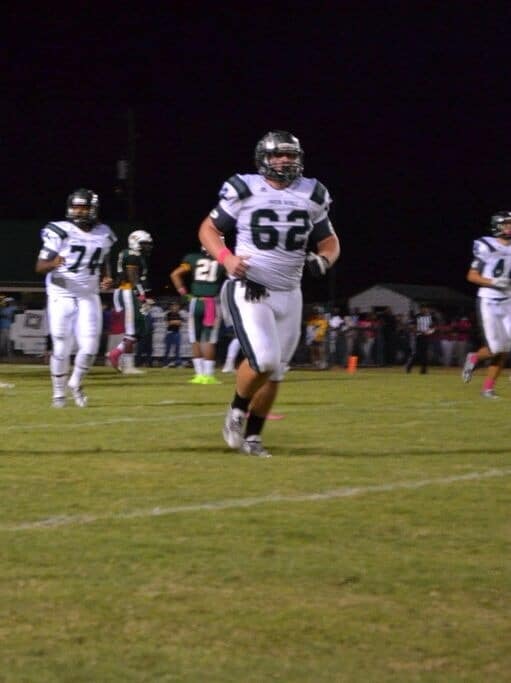 He has offers from Army, Southeastern Louisiana University, Southern University, and Citadel. An interesting fact about him is that he is left handed but throws the football with his right hand. Tevin Bush is one of the quickest runningbacks in the state. He is small but is very quick. Bush reminds me of Dexter McCluster who played for Ole Miss as well as the Kansas City Chiefs and Tennessee Titans. He actually looks like Dexter McCluster in the fact that they can be twins or something. He definitely has the speed to be him as he can run a 4.4/40. As of right now, Tevin Bush is committed to play for the West Virginia Mountaineers. When the football season is over, he likes to have fun and play basketball. Elijah Mitchell plays for a small school in Lafayette, but he is a running back that you can’t overlook. He’s got that 3rd gear at 6’0 over 200 pounds. 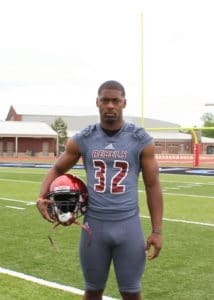 Mitchell can run a 4.5/ 40 and you will probably see him at running back in the future at the University of Louisiana Lafayette where he committed to play football. A lot of colleges will still offer him in the end which makes him a huge sleeper for colleges. 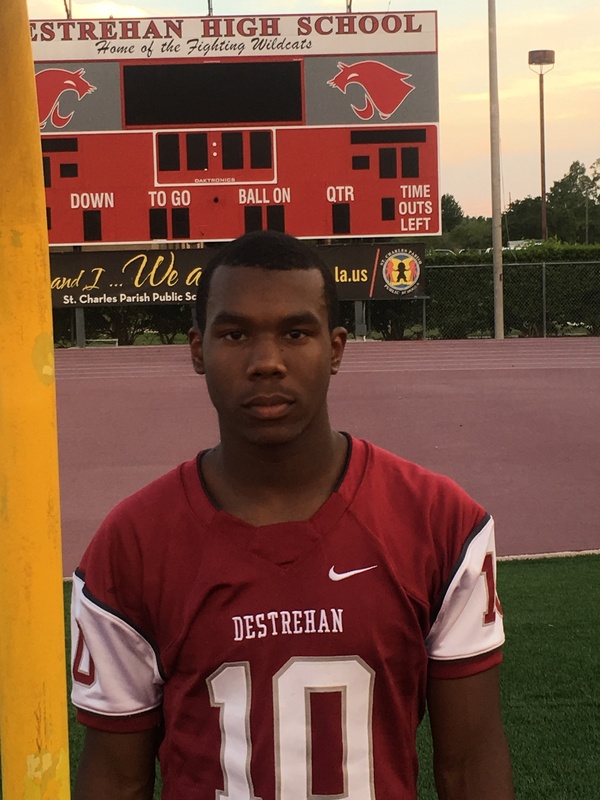 Jacob Kibodi has the best jumping ability for a running back in the state of Louisiana. 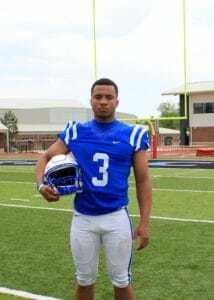 I believe that he is the third best runningback in the entire state. He is very athletic and has to show that he is a true running back. Last year, Kibodi ran for over 842 yards along with 324 receiving yards and 17 total touchdowns. His top schools are Texas A&M, LSU, ULL, Purdue, Arizona, and Arizona State. When the football season is over, he likes to play basketball. Jakyle Holmes has always been very talented. He started playing varsity as a 9th grader! LSU is monitoring him right now and I believe he can be just as good as Kibodi from Christian Life or Travis Etienne from Jennings. Holmes is similar to Etienne because he can run a legit 4.4/40 on turf. He needs to show that he can really play runningback at the next level. 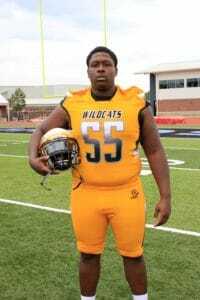 Holmes has some help because he also has one of the best blocking fullbacks in the state in Juan Gross blocking for him. 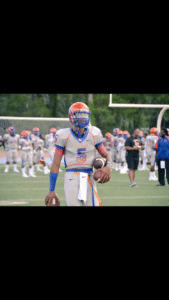 Myles Ward is the best senior prospect in New Orleans. I saw him play in week two last year. He has the it factor. Myles can juke and hit the hole. 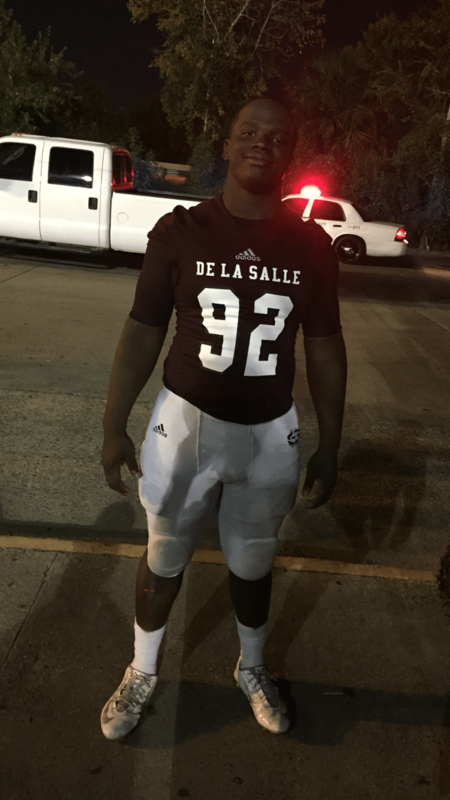 The best thing about him is that he is not overused in the offense because De La Salle has great athletes all around. Myles Ward will provide fresh legs in college and that will make him a great college player. If it wasn’t for Clyde Edwards-Helaire and Ben Miles, James Berrigan would be more recognizable. He is very athletic. can run outside, and also has deceptive speed and powerful. People forget that he was the key offensive player in the playoffs when Clyde got hurt against Brother Martin. 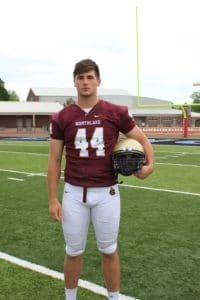 James Berrigan reminds me of a smaller version of Jacob Hester (former RB that played for Evangel Christian, LSU, and in the NFL) by the way he plays the game. Last year, Berrigan had over 730 yards rushing yards and nine touchdowns. As of now, James Berrigan is wide open for colleges and when the season is over, he likes to hunt, fish, workout, and hang out with friends. Trey Coleman is the featured runningback in a running offense. He is not super fast but he has a lot of power and he also makes up for the speed with his quickness and his ability to miss tackles. Coleman is also a smart runner who has great vison. 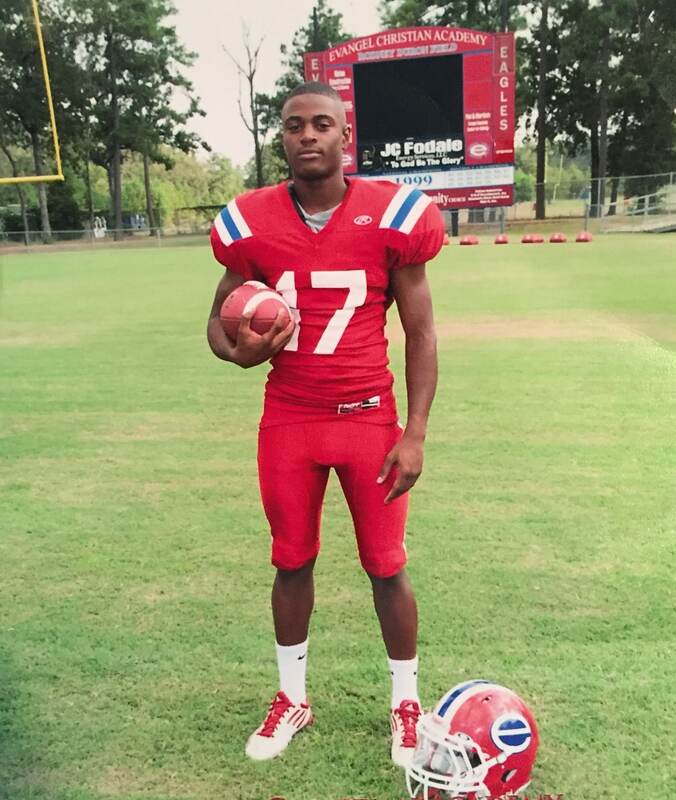 When you get somebody from West Monroe, you get an advanced runningback. With Coleman and Slade Bolden, the Rebels have a great one two punch in the backfield. Last year, he ran for over 1,400 yards and 12 touchdowns. 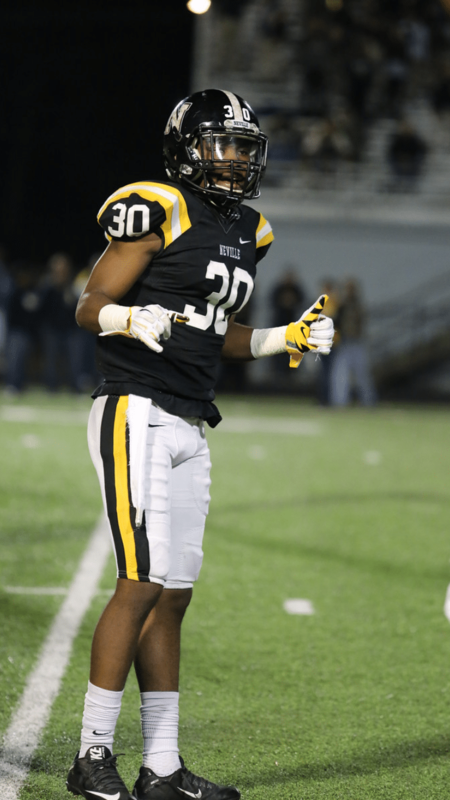 As of now, Trey Coleman is committed to play football for the University of Tennessee. 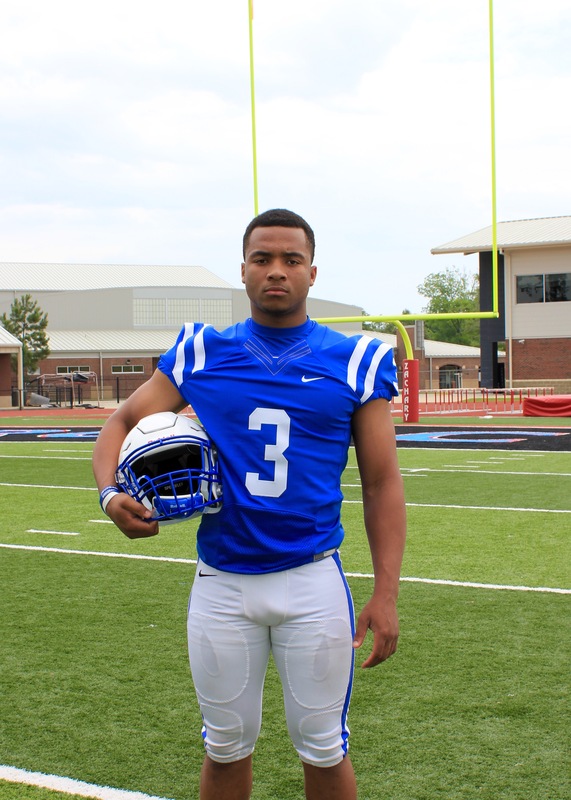 Taylor Johnson is the toughest runningback in the state. He has played in three state championship games and has won two of them. Taylor is a difference maker for his team and is really hard to tackle. Johnson runs like the Tazmanian devil or a tank with arms. I think that he will play at the I-AA level but there is no question how big his heart is. You can see that when he was playing in all the state championship games. As of right now, Taylor Johnson is wide open for colleges. When the football season is over, he likes to work out and watch his first cousin Hunter Kiel (incoming LSU baseball player) play baseball. Shabazz Holden is highly underrated as a runningback. He is a big time player but he doesn’t have a lot of schools looking at him. Holden is a big running back at 225 pounds and can run a 4.5/40. 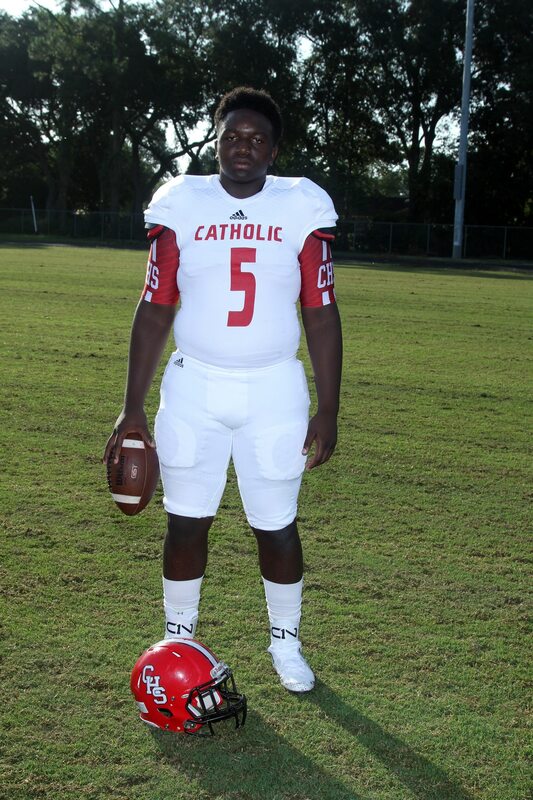 There is not a better blocking fullback in the state than Archbishop Rummel’s David Mosley. He is like another offensive lineman for the team. Mosley also can play tight end as well. He is a gem because proven blockers are hard to find now a days. Louis Blanchard looks like Craig “Ironhead” Heyward, who was a former fullback for the New Orleans Saints. Blanchard starts on the defensive line but he also plays fullback. He is 6-3 over 260 pounds but is quick for his size as he runs a 4.8/40 and also has great feet. Like Louis Blanchard, Shannon Forman also plays on the defensive line for his team but his primary position is fullback. He reminds me of J.C. Copeland, who played fullback for LSU. Forman is definitely a D-I player and is capable of being a four year starter for whoever he plays for. Ethan Stansell has all the tools to be great. He is 6-3 at over 240 pounds and can run a 4.5/40. He is raw but only because the team needs him to play a lot of positions. Stansell can be a running fullback or can be a middle linebacker. He is not only a great athlete in football but is also an All-State lacrosse player as well. 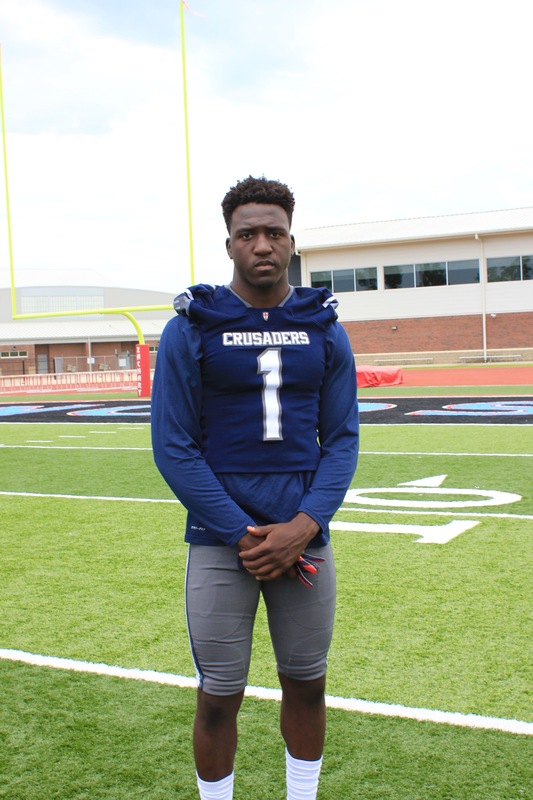 Stansell is definitely a major sleeper in the Shreveport area. Last year, he ran for over 180 yards as well as over 185 receiving yards. As of right now, Ethan Stansell is wide open for colleges. Juan Gross is another battering ram at fullback. 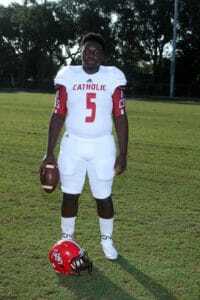 He is one of the best blocking fullbacks in the state along with David Mosley from Archbishop Rummel. A college might sign Gros just for his blocking skills. The team uses Landon King as a runningback even though he has the size to play fullback. 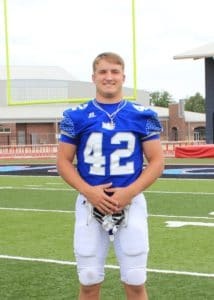 The strength to his game is obviously his size but if he wants to play at a major school next year, he will probably will have to move to fullback or linebacker. However at a smaller school, he can probably stick at running back. Last year, Landon King ran for over 850 yards and 7 touchdowns. As of right now, he is wide open for colleges. 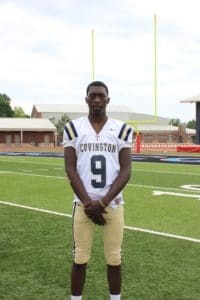 When the football season is over, King enjoys participating in track, volunteering in the community, and spending time with family and friends. Buddy Kyle is the most athletic tight end that is not considered tall for the position even though he is 6-2. Kyle has great hands and can run too. If the team wanted to, he can also play fullback. I personally watched him against St. Thomas Aquinas, and he reminds me of Richard Dickson, who played tight end at LSU. I love his ability and what he can do as a receiver as well as a blocker. Last year, Buddy Kyle had over 150 receiving yards. His top schools are LSU and Southeastern Louisiana University. When the football season is over, Kyle likes to play baseball as well as hunting and fishing with his dad. Cole McCarty is similar to some of the fullbacks and tight ends mentioned. He is going to grow even more in college. I love his ability and his strength as a tight end. His top schools are currently ULL, Louisiana Tech, and ULM. When the football season is over, McCarty likes to hunt and fish. Austin Herring is a very athletic guy but is still raw and has a way to go. He can run really athletic for a big guy and because of that, Herring is a deep sleeper. Last year, he caught 27 passes for 1,375 yards and 10 touchdowns. Jay Head is a late bloomer at about 6-5. He is going to put in a lot more weight and will be better in college. Jay will probably get up to about 250 and still maintain his speed and quickness. His senior season will decide what college he will go to in the end. Allen Arclies is the most athletic senior tight end in the Lafayette area. He is tall, fast, and his senior year might be the year in which he blossoms. Arclies has all the tools to be a great pass catching tight end and is only going to get bigger. Lane Perrin came in last year with his great soccer background and played well for the Lions. 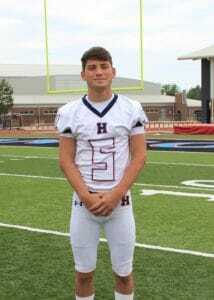 He has a great leg and could possibly be a scholarship kicker but he can also walk on and earn a scholarship that way as well. Perrin can be a good punter as well as a kicker because he has a cannon leg. Last year, he was perfect on extra points going 30 for 30 and 4 for 5 on field goals. His longest field goal that he has ever made in a practice or game was 50 yards. As of right now, Perrin is wide open for colleges and when the football season is over, he plays lacrosse. 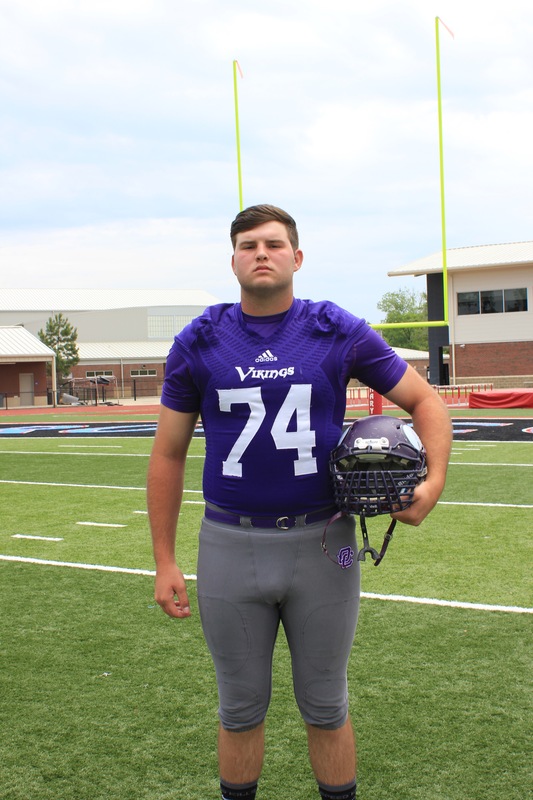 Tanner Kijak’s brother was also a great kicker at Ouachita. This kid is not big in size but has a cannon leg. He can punt and kick in college. 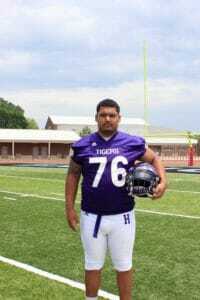 Kijak can sign or walk on with an I-AA team in college and start. As of right now, Tanner Kijak is wide open for colleges and when the season is over, he starts to prepare for the baseball season. Parker Fontenot has ice in his veins. That was a gut wrenching kick that he made to win the state championship, and he didn’t seem nervous. 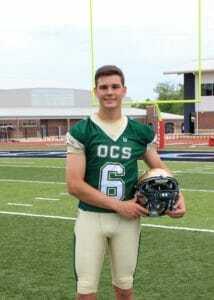 That’s how you earn scholarships as a kicker and that is kicking game winning field goals. I am impressed with his range because he can kick 50 yard field goals. 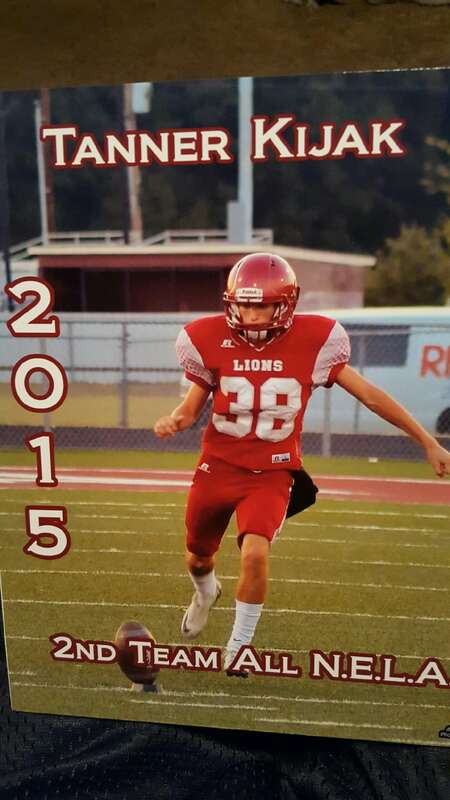 I think that he will end up being a better kicker than Jack Gonsoulin, who was a former kicker for Catholic High and is now playing for the LSU Tigers. 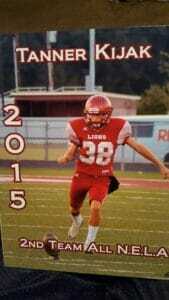 If Fontenot can walk on at LSU, he might be a future kicker for them. 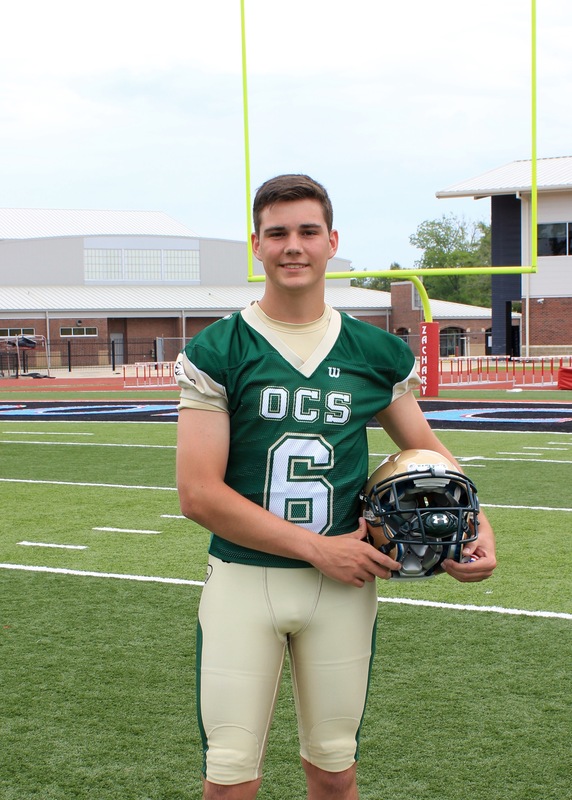 Parker Fontenot might be the best kicker to come out of Catholic High in a long time which is saying a lot. Last year, Fontenot went five for six in field goal attempts and 48 for 51 in extra points. His top college for football is Navy and when the football season is over, he likes to anything outside and loves adventure. 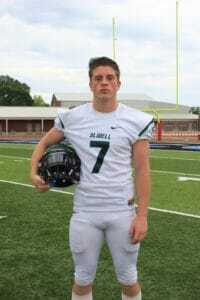 James Kelly has a cannon leg and is one of the best kickers to come out of Ouachita Christian which already had two D-I kickers sign with colleges. Last year, Kelly was 3 for 3 on field goals and 49 for 53 in extra points. Cameron Davis is a big and strong kid. I call him a mauler. Davis is the kind of kid that you should sign because he comes after you. I think that he can play D-I at some schools and can definitely start at I-AA. Shane Vallot is one of the strongest offensive linemen in the state. He is the most impressive looking specimen under 6-2. 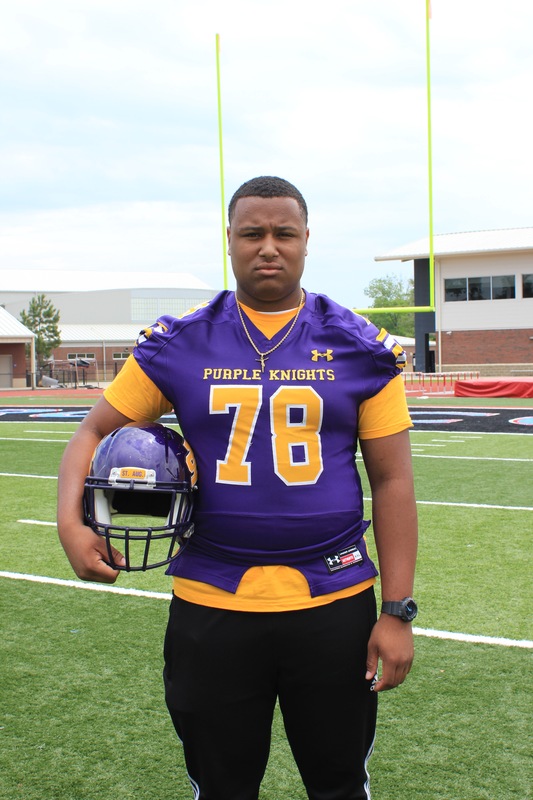 If Vallot was taller, he would be an All-American, but he has a chance to play either center or guard in college. He is getting some attention from colleges but not a lot which makes him a very underrated prospect. His top schools are Southeastern, McNeese, and ULL. When the football season is over, Vallot wrestles for the team and also throws the shotput for track and field. I love this kid and his story. Abraham Delfin, at one point, was fluent in speaking just Spanish and that he learned English by watching cartoons. He is adjusting to the game of football really well and he has great feet. The sky is the limit for Delfin because he is getting better each and every year. He is definitely a guy who can play I-AA or at a small D-I school and probably start there as well. His top colleges are Northwestern and Army. When the football season is over, Abraham Delfin plays soccer in the winter and does track in the spring. Drew Jones is a very physical center like Vallot from Comeaux, but at the same time, has very quick feet and can really move for a guy that’s 290 pounds. Drew is a guy that comes after you. If Jones was taller, he would be an All-American as well as Vallot. If a school like Nichols or Northwestern State signs him, they will get a steal. His top school as of right now is Southeastern Louisiana University and when the season is over, he likes to work out and stay in shape for the next football season. 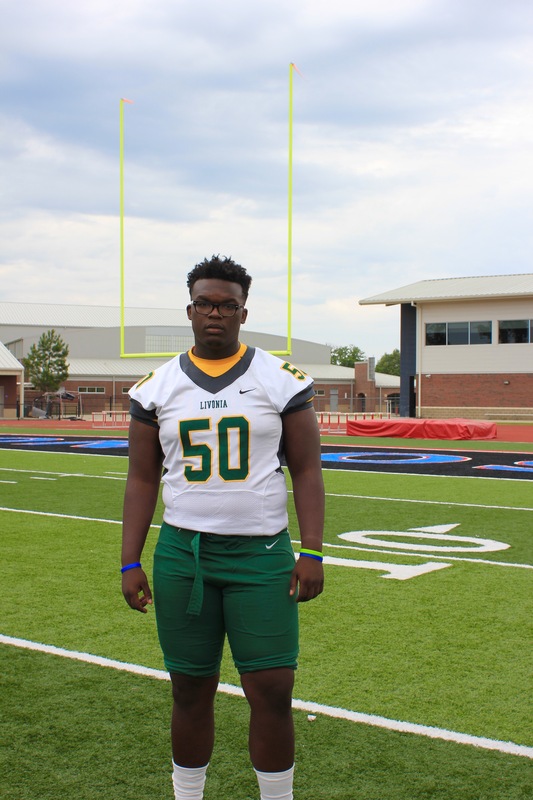 Martin Brooks is the biggest late bloomer in the state for an offensive lineman. Brooks is quick has put on a lot of weight. He has really improved over the last couple of years. 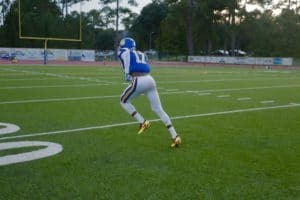 I think that he is the hottest prospect that nobody knows about right now because he has quick feet and is really strong. Martin Brooks could be a big time sleeper for D-I. Malik Harry is big and strong. If you are trying to sign an offensive lineman for strength and size, Harry will be your guy. He is as strong as an ox but still very raw at the position. I can see him being a I-AA player. I think that Azaviar Carter is the biggest sleeper in the state. He plays guard for the team but will probably play tackle in college. Carter is so athletic and looks like an SEC football offensive guard. Donell Wallace reminds me of Trai Turner, who was an offensive guard for LSU and is currently a guard for the Carolina Panthers. 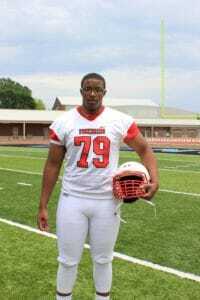 He has the biggest chest, longest arms and hands that you will see in an offensive lineman. Wallace is huge but not fat and is a definition of a human bulldozer. This guy can play for anybody, and I truly believe that he will play in the NFL one day. His favorite and top school is the University of Houston. 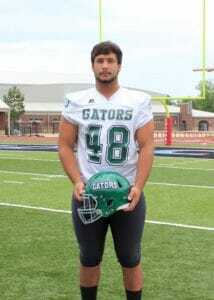 No one has more God given talent than Josh Cooper coming out of this senior class on the offensive line this year. 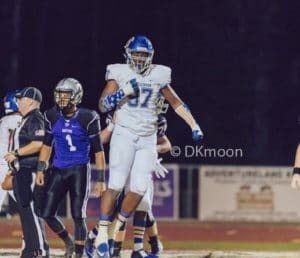 He is 6-5, 350 and can run like he is 280. Cooper is long and looks like Cam Robinson (former OT for West Monroe and current OT for Alabama) except that he is even longer than Cam. The only thing with Josh Cooper is that he needs to fulfill his potential and play the way he looks all the time. I think this guy is going to be an All-Conference tackle in college. Spencer Gardner is a true 6-5 and he is a strong kid who also happens to have really good feet. Gardner is vastly underrated and can sign with a big time school in the end. 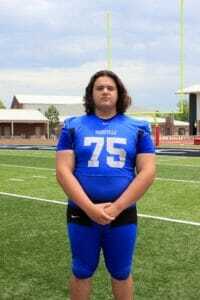 Aaren Lamelle has the second most given talent in the state as an offensive tackle behind Josh Cooper. He looks like a SEC offensive tackle. Lamelle is long and is very lean for his size. He is scary looking and is a physical specimen. Lamelle, at times, dominates, but he needs to be more consistent. Rendon Miles-Character can play offensive or defensive tackle in college. He can really move for his size and has great feet. 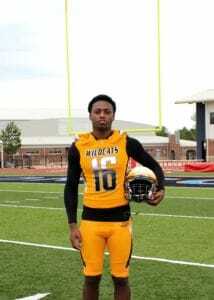 Not too many guys at 290 can run like he can As of right now, Rendon Miles-Character has offers from Southern, Troy, Southeastern Louisiana University, Houston Baptist, and Trinity International University. When the season is over, Character likes to work out, bowl, and travel. Trey’veon Williams missed all of last season, but he is a physical specimen as well. 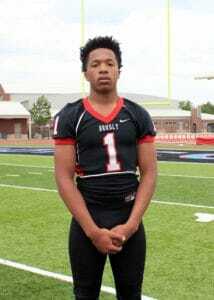 He is probably the most physically built kid in the Shreveport area that is not being talked about. Williams is a long 6-4 and can be 300 pounds easily while still running a 4.9 or 5.0/40. The thing about him is that he hasn’t played since his sophomore year and has not even played much that year. Williams definitely does look the part and if he has a good year, colleges will definitely go after him. There is not a more talented wide receiver than Brandon Rachal. The problem is that he is also one of the top five basketball prospects in the state and is a top 100 recruit nationally as well. I would love for him to play football because he is so gifted. He reminds me of a 6-6 version of Randy Moss (future NFL Hall of Fame Receiver). This guy is so gifted that it is scary. He runs a 4.5/40, and nobody can get up vertically like he can. If Rachal chooses football, he has the talent to become a 1st round draft pick easily one day. Michael Young is this year’s version of Tyron Johnson, who was a wide receiver for Warren Easton three years ago. He is a playmaker at slot receiver and is good enough to play for anybody in the country. Notre Dame just offered him as well as a lot of other big time schools. This is a guy that you might see playing on Sundays one day. Tavulke Williams is going to be even better than Stanley Morgan, who is going to be a high draft pick from Nebraska. He is going to end up at a big time school and end up being an All-Conference player. Al’Dontre Davis has a lot of Jarvis Landry (former wide receiver for Lutcher and LSU; current receiver for the Miami Dolphins) in him because of his toughness. Sometimes, that is all you need to be a D-I receiver. I would not be shocked if LSU finds room for him as a defensive back or a wide receiver because he is a heck of a football player. I believe that his strength is his toughness. Davis catches balls over the middle and is tough to bring down. He has that mentality of refusing to go down and is another receiver this year that has a great chance to play in the NFL one day. 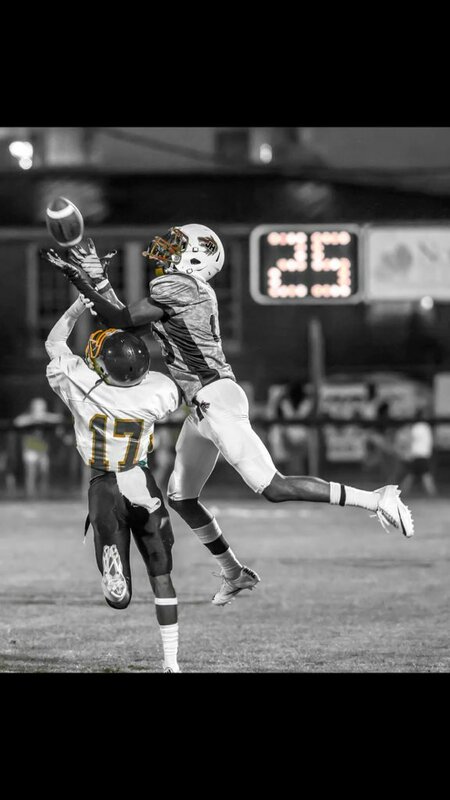 Zacch Smith is the most gifted receiver in the Monroe area, and it is not even close. He runs a 4.40/40 at 6-3, 175 and is just an unbelievable talent. It is a shame that LSU recruits wide receivers like Smith in Texas where they have these guys here in Louisiana. He has a chance to be great in college. Smith is a former defensive back and only played one year at wide receiver in which he was unstoppable. 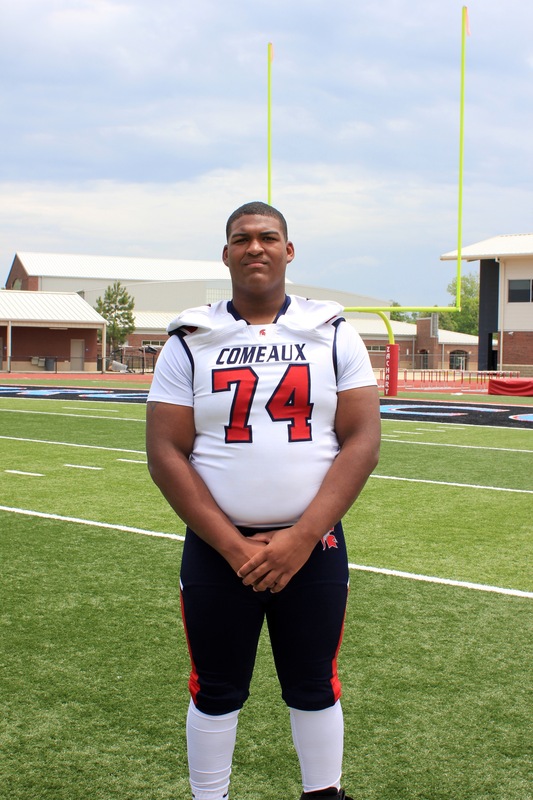 In fact, he played on the same team as LSU signee Cameron Lewis, who has a real shot at the NFL one day. I believe that Zacch Smith can be even better than Cameron Lewis in the end. When it comes to freakish athleticism, Smith and Rachal are both off the charts. Justin Wendt is this year’s version of Julian Edelman from the New England Patriots. He also reminds me of Wes Welker who also played for the Patriots. Wendt reminds me of those guys because he catches everything, runs the perfect routes, and runs a 4.5/40. Justin Wendt is a hell of a player and if he played at a bigger school, he would be talked about even more right now. 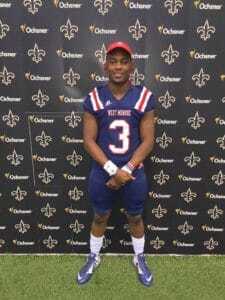 Last year, he had 66 receptions for 670 yards and now, he is receiving interests from Northwestern State, Tulane, and Louisiana Tech. When the football season is over, Wendt likes to work out and fish. Nobody goes more vertical, besides Brandon Rachal, than Terry Baham III from Slidell. When Baham jumps in the air, it looks like he jumps eight feet in the air. Terry has freakish ability because he is a guy who can jump like that and is already 6-4. He will grow to about 220 when he is in college. I think that he is the best football prospect at the school since Matt Forte (former runningback for Tulane and the Chicago Bears currently with the New York Jets). Last year, Terry Baham had over 37 catches for 882 yards and 8 touchdowns. As of right now, he is wide open for colleges. When the season is over, Baham likes to play baseball and basketball. Alonjai Earlycutt is another freak athlete that is tall and can jump a great vertical. The thing about Earlycutt is that he is still raw. I think that he can be as good as anybody but is still learning the position and how to play it. 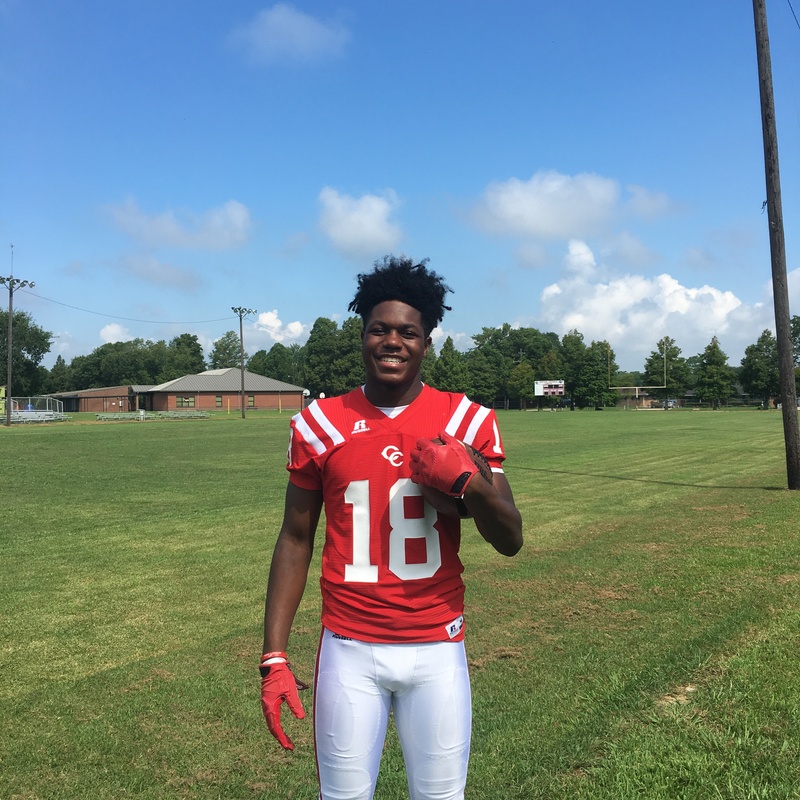 Dontay Hargrove is one of the best big receivers in the state. Hargrove is already about 220 at 6-3 but this kid might end up being a tight end if he grows even more in college because he has the body to grow to 240-250. He is so good at using his frame. He is built like Rueben Randle (former wide receiver for Bastrop and LSU; current receiver for the New York Giants). Randle was built around the same size as Hargrove when he was coming out of Bastrop High School. He is a guy that I think anybody would want because he can run a 4.5/40 and still do it even if he grows over 240 pounds. TJ Bedford is a basketball player turned football player. He is kind of like Baham from Slidell and Rachal from Natchitoches Central. Bedford is tall and unbelievable with the ball when it is in the air. I believe that he is the best recruit at receiver ever to come out of St. Paul’s and that even includes Jalen McCleskey, who came out of St. Paul’s and is now an All-Conference receiver at Oklahoma State. Last season, he had 542 receiving yards averaging 11.5 yards per catch and eight touchdowns. 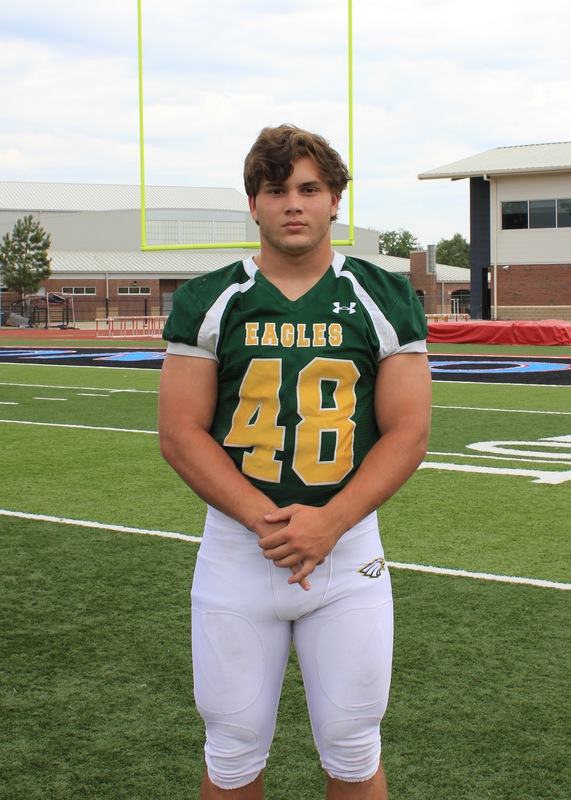 His top schools are Northwestern State, Southeastern Louisiana University, and Nicholls. When the season is over, Bedford plays basketball and runs track. Miles Meyer is a SEC defensive tackle. 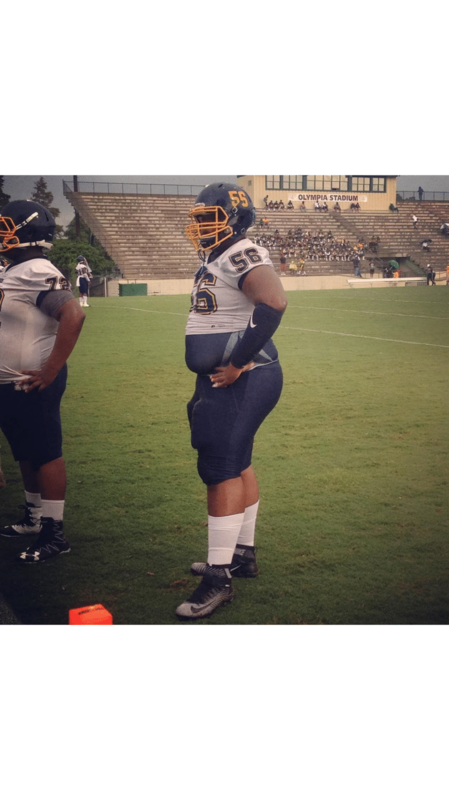 He is built like Edwin Alexander, who signed with LSU. Meyer is super strong as a nose guard and is unblockable. I think that he is somebody that LSU can go after in the end. As of right now, Meyer is committed to McNeese. Last year, Miles Meyer finished with five sacks, 11 tackles for loss, and 36 total tackles. When the football season is over, he likes to powerlift. Zi’Yon Hill was a defensive end and has put on a lot of weight which has made him grow into a defensive tackle. He went from around 260 to 285. He is kind of in the situation that Davon Godchaux (former Plaquemine defensive lineman currently playing for LSU). I don’t know if they are going to make him lose weight and play defensive end or gain weight and play tackle. Either way, he can play both positions. Hill can run a 4.9/40 if he loses weight but can still run a 5.0/40 if he is still 285. Zi’Yon Hill definitely has potential but needs to give it all he’s got this year. Matthew Clapp is William Clapp’s (starting offensive guard for LSU) younger brother. 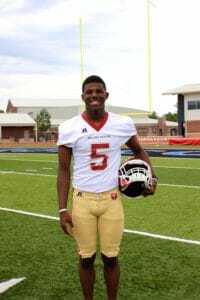 Clapp is very underrated because he is on a team that is surrounded with Bruce Jordan-Swilling, Jeremy Singleton, and all the other great athletes at Brother Martin. 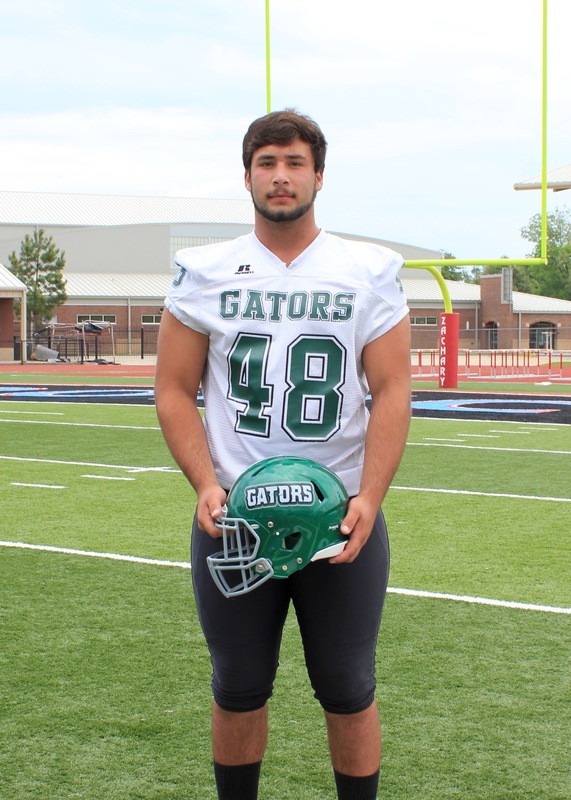 Matthew Clapp, to me, is one of the toughest kids in the district at defensive tackle. He is better to me as a prospect than Christian LaCouture (LSU defensive tackle). Clapp is not as tall as LaCouture but he is more physical and has better feet than the LSU defensive tackle. This big boy has a motor and is 6-2, 270. I don’t know why the big schools have not offered him. He is a big time player even though he is still learning the game. When the season is over, you might see all the big schools offering him. As of right now, Chambers is wide open for colleges. His hobbies after the football season are weightlifting and doing community service work. Jonathan Hawkins will probably end up as the best defensive tackle in the state when it is all said and done. The thing that is holding him back is that he also plays on the offensive line for Livonia as well. Hawkins is really a defensive lineman in college because he has quick feet and is very hard to block because of his overall quickness. I think that he can play for anyone in the country. Danquan Edwards is the most talented defensive end in the state but not the biggest. He is very underrated, and I think that he can stay at defensive end if he stays at 270. If he had to, he can move to defensive tackle. 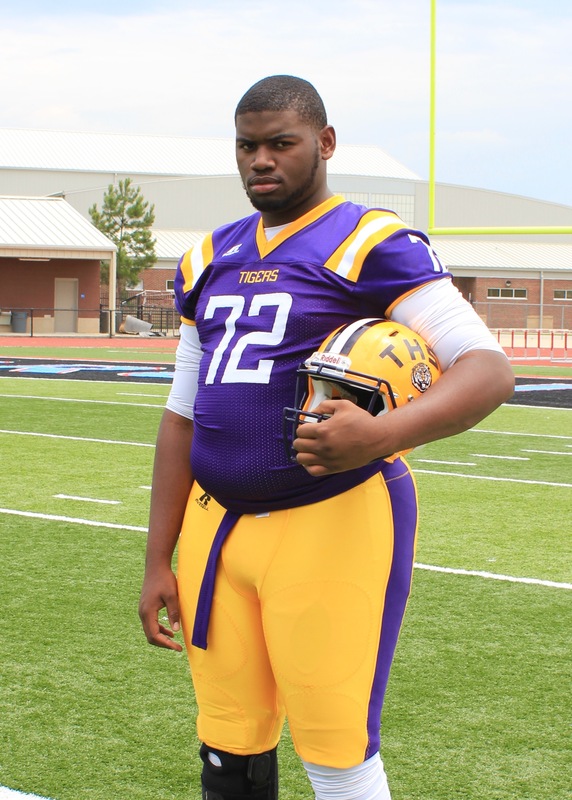 Edwards has phenomenal feet and reminds me of a shorter version of Marcus Spears, who played tight end at Southern Lab, defensive end at LSU and for the Dallas Cowboys. Last year, Danquan Edwards had 10 sacks, 26 tackles, and a touchdown. His top colleges are Miami, Kansas State, and Florida State. When the football season is over, Edwards likes to read. Gary Mackey III is going into this year as an unknown prospect. People will probably recognize him at the end of the season. 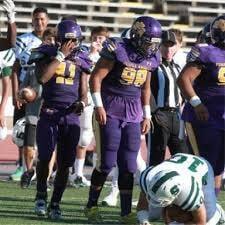 He is going to be the biggest sleeper at defensive end because the school doesn’t have much film on it. Mackey could be as good as Deondre Christmas, who played at St. Augustine and is now signed with Texas. Last year, Mackey had three sacks, 45 tackles, and two forced fumbles. As of right now, he is wide open for colleges. When the season is over, Gary Mackey gets involved with sports medicine. 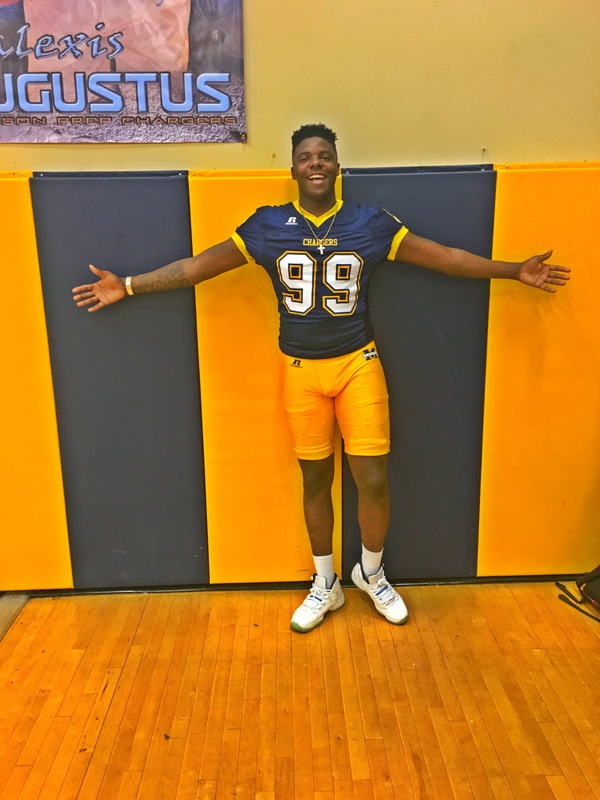 Nobody looks the part better than Bryan Jones from Madison Prep. Jones is a physical specimen freak. The only thing is that he needs to continue learning the game because he is new and raw. 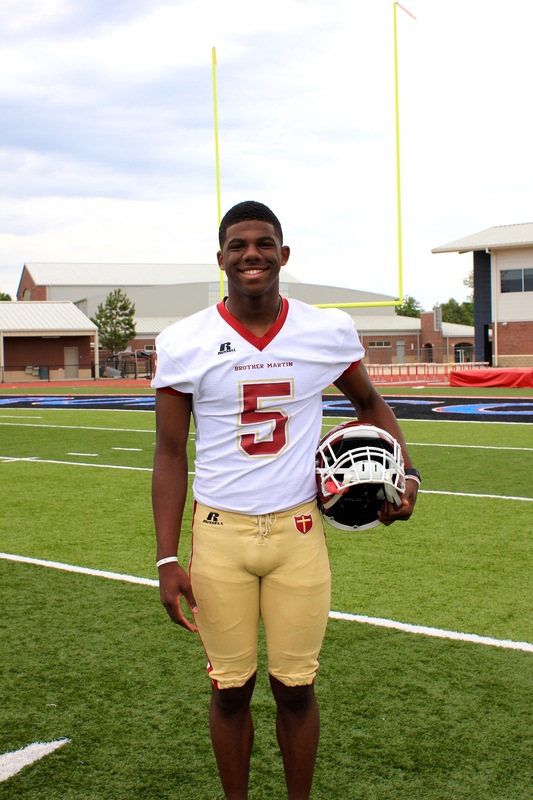 In his senior year, he might end up a top 100 nationally recruit in the country. Jones is probably almost 7-0 feet tall when you add his arms and legs. 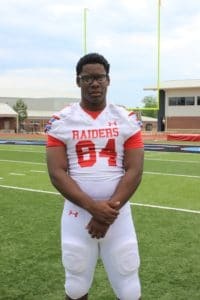 As of right now, he is committed to play football at Ole Miss. Last year, Bryan Jones had 60 tackles, 10 tackles for loss, two touchdowns, and three fumble recoveries. When the football season is over, he likes to work out. Aaron Calcote is the quickest defensive end in the state not the tallest but there is nobody quicker than him. Aaron is the definition of a sack specialist which means that he gets a lot of sacks and quarterback hurries. He definitely reminds me of a Louisiana version of Von Miller, who played defensive end for Texas A&M and the Denver Broncos, because he is not going to be bigger than 245 but can run a 4.5/40. Jalen Williams is like Jones from Madison Prep. He just needs to stay healthy and keep getting better. Williams is a freak as well because he has long arms as well as Jones and can measure up to 7-0 feet with his arms. Last year, he had eight sacks along with 68 tackles. His top schools are Southern, Southeastern Louisiana University, and Tulane. When the football season is over, Jalen Williams runs track. Justin Harris is a freak looking athlete turned football player. Last year was his first year playing football. Justin once played basketball at Lutcher and transferred to East Ascension. He is going to put on a lot of weight. Harris is a guy who will be 280 but still look 240 and has a chance to be good. 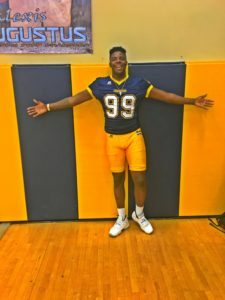 This is the year for long freaky defensive ends in the state with Jones from Madison Prep, Williams from Slidell, and Harris from East Ascension. Last year, Justin Harris had 49 tackles, 12 sacks, four pass deflections, and even scored a touchdown. Not a bad year for somebody playing in their first year of football. His top schools are the University of Central Florida, Texas A&M, Georgia Tech, and Memphis. Cameron Crozier is one of the toughest players in the state. His first year starting was last year. Cameron’s dad Rick Crozier was a special teams star at Tulane. He reminds me of a shorter version of the current Saints linebacker James Laurinitas because of his toughness and his speed. 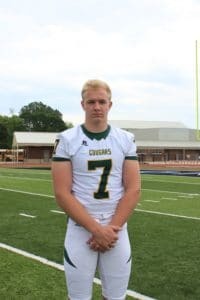 I personally think that LSU should chase this kid because he is a Laurinitas type guy and there are not a lot of those anymore. Last year, he had over 155 tackles with four sacks and a fumble recovery. His top schools are Colorado State, ULL, Tulane, and South Alabama. When the football season is over, Crozier plays rugby. Cameron Morgan is two inches of height away from being an All-American. Nobody hits harder in the state at linebacker. He is one of those guys that is looking to knock your head off. 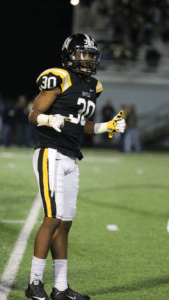 Last year, Morgan had 99 tackles with three interceptions including one returned for a touchdown. His top schools are ULL, Mississippi State, and Houston. When the football season is over, Morgan likes to go to the gym, spend time with his family and friends as well as being outdoors. 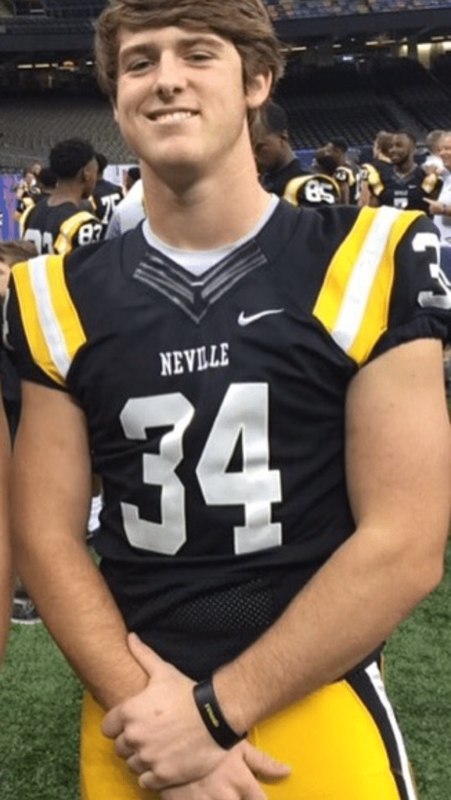 Cameron Heil is the best linebacker prospect in Baton Rouge. His strength is that his instincts are phenomenal and his football speed is faster than his 40 time. He looks like he can run a 4.5 but times around a 4.7 or 4.9/40. He is a football player and is a great one. Heil can play D-I and watch those programs chase him in the end. His top colleges are LSU, Tulane, and ULL. Last year, Heil had 94 tackles, 13 tackles for loss, one interception, and two fumble recoveries. 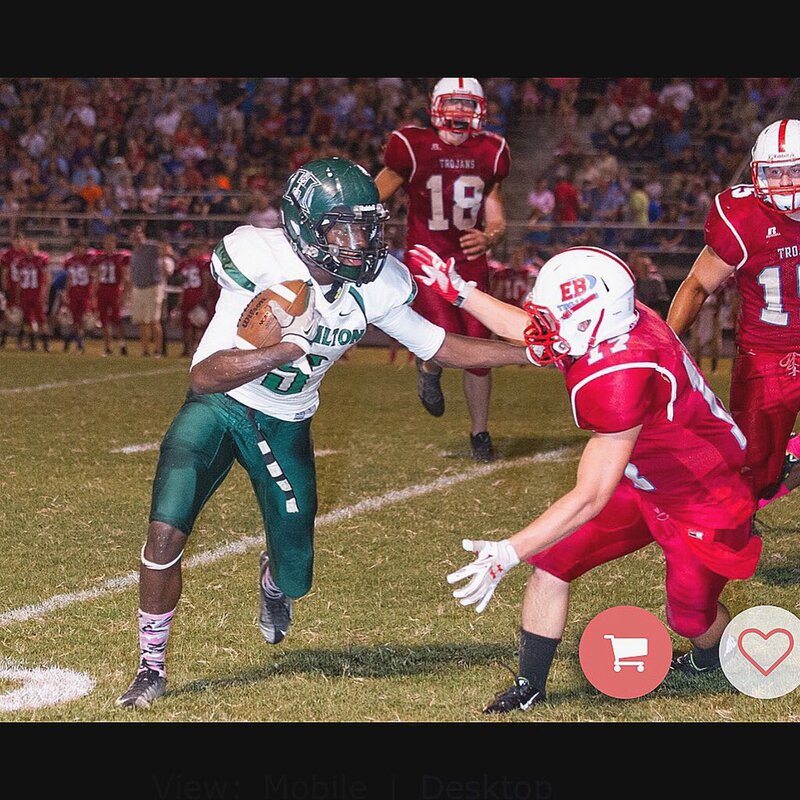 Charles Ellis is the best small linebacker in the state. He is only 5-8 but reminds me of the late great Sam Mills who played for the New Orleans Saints. This kid is a tackling machine. He will run through you and knock you out. 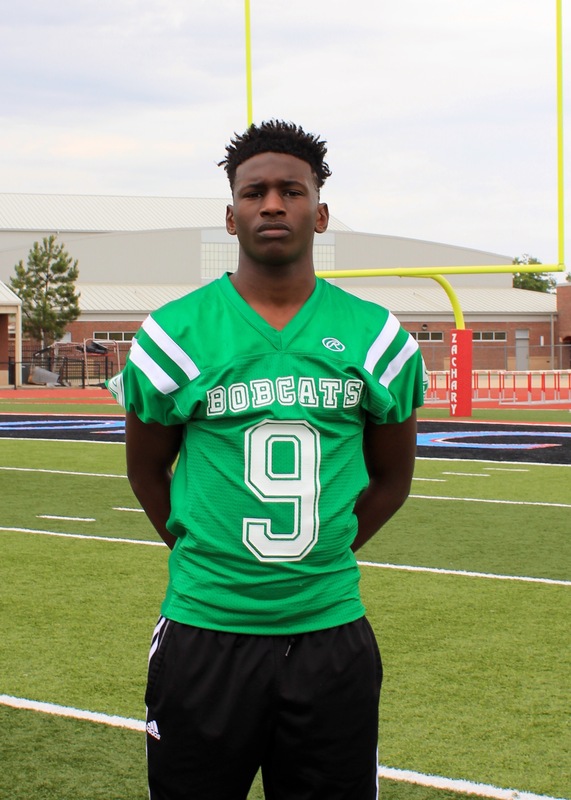 Last year, Ellis was the district defensive player of the year and this year, he can probably make All-State. By the way he plays, you would think that Charles Ellis is 6-3 even though he is only 5-8. Josh Tourelle reminds me of Michael Mauti (former linebacker for Mandeville and Penn State currently with the New Orleans Saints) because of his toughness. Tourelle isn’t as big as Mauti right now but they are both tackling machines. He is the prototypical mike linebacker and carries that weight pretty well. Josh almost weighs 240 at 6-3, and he can run like he is only 210. The thing about Josh Tourelle is that he has not reached his full potential just yet. Last season, he had over 75 tackles, three forced fumbles, and a fumble recovery. 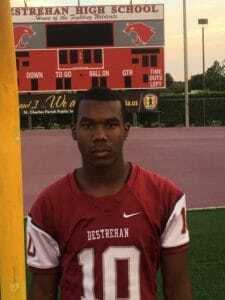 He has one offer from Southeastern Louisiana University. After the football season is over, Josh Tourelle likes to fish, hunt, and workout. 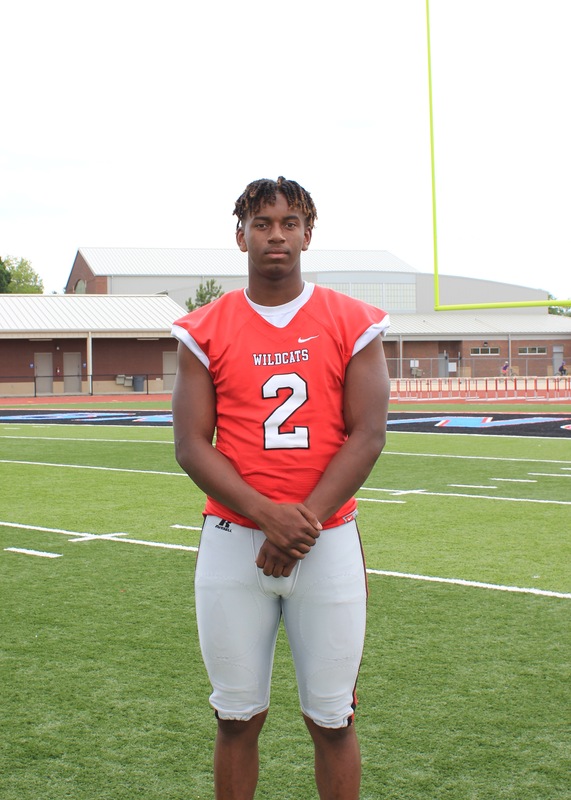 Jamyren Ladner is the biggest sleeper in the state at outside linebacker. Ladner runs a 4.5/40 and sometimes, he is too fast because he has the tendency to overrun plays. The guy is like a missile and if he was a little bigger at 220, LSU would offer him right now. He is one of those guys that might go to a big time school in the end. Korey Lee is another outside linebacker that runs a 4.5/40. 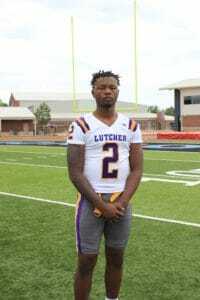 He reminds me of Xavier Lewis who also came out of East St. John and went to LSU except that Lee is an inch taller which allows him to get bigger and is going to weight about 230 in college. Lee is built like Deion Jones (former linebacker for LSU now with the Atlanta Falcons). You can’t coach 4.5 when the guy can hit as well. 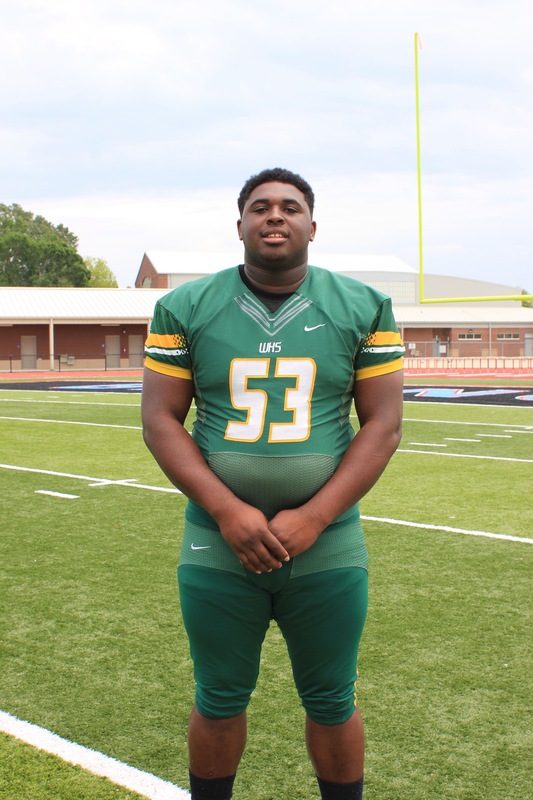 His top schools are LSU, Louisiana Tech, Grambling, Southern Mississippi, and Jackson State. Lee is focused on school and how to get better as a football player. Sean Badeaux is tough and plays the whole game both ways. He plays two positions where you have to be the hammer not the nail in order to succeed and Sean is successful at both. He’s extremely underrated and is a hard worker. There should be more colleges looking at him by the end of this year. 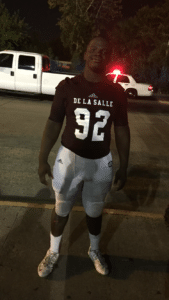 As of right now, Sean Badeaux has no offers so he is wide open for colleges. Last year, he had over 150 tackles. When the season is over, Badeaux likes to spend time with his family and do Olympic weightlifting. 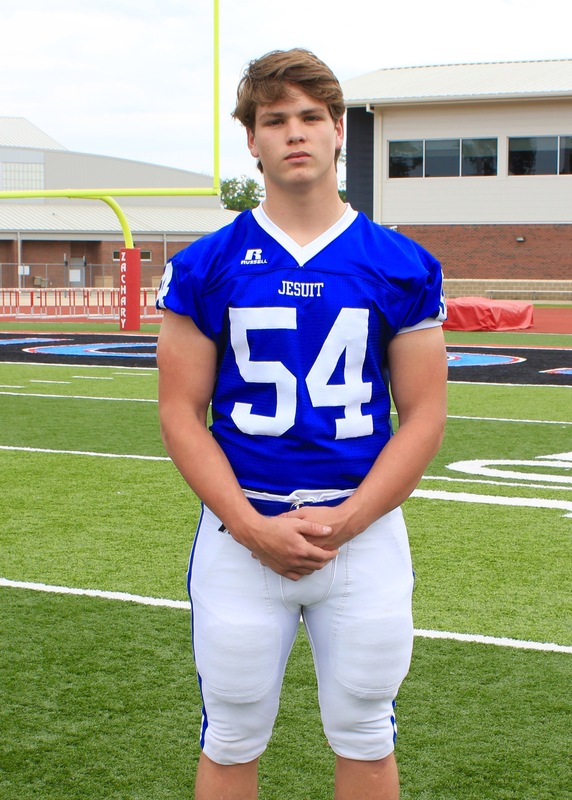 Hunter Smith is a middle linebacker that is 6’1, 225 and can run a 4.6/40. Smith has gotten a lot bigger from last year. He has one D-I offer as of right now and that is from Army. 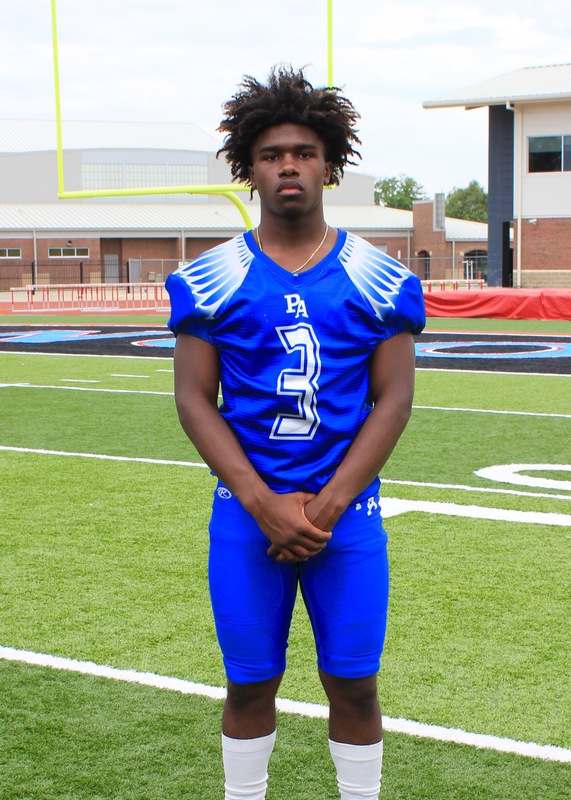 I think that he will get some offers from some of the in state schools like the University of Louisiana Monroe, University of Louisiana Lafayette, and Tulane because he is a great leader and loves to play the game. Last year, Hunter Smith had over 160 tackles, 7 fumble recoveries, 5 forced fumbles and made 1st Team All-State. He has offers from Army West Point, Northwestern State, Jackson State, Incarnate Wood, and Kentucky Christian. Smith also has received interests from other D-I schools. Tyler Wiltz is one of the hardest hitting safeties in the state. 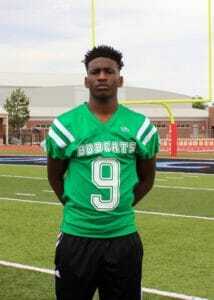 Wiltz is a great football player and I like the way he plays the game. He is not scared to make tackles and loves to hit. Brandon Ndubueze is one of the fastest safeties in the state. 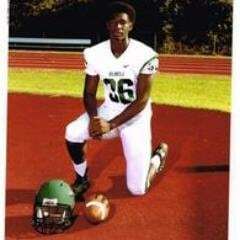 Ndubueze might end up being an outside linebacker in college and might end up being 220 while still running a 4.5/40. He has got a chance to be a great player in college. I think that this kid has the biggest heart in the state. Julius Johnson is not listed as a big recruit but he is a player that I appreciate because of how hard he plays. He does run a 4.5/40 though even if he isn’t the biggest guy in the world. There is not a better player in the state that will play safety in college than this guy. Johnson is an incredible player for Kaplan. He is their defense as well as their offense because he plays runningback too. He is also not afraid to hit either. Jalen Johnson made All-State last year. Johnson is tall and he can run. The thing is that I don’t know if he is going to keep growing and be an outside linebacker or stay at strong safety. He could play either of those positions and might grow over 230 pounds. Jalen Johnson has greatness written all over him. I don’t think that he has reached his potential yet which is a really good thing because I believe that he is already a D-I player. 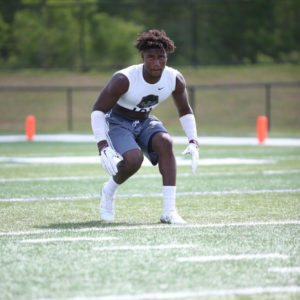 Last year, Jalen Johnson had 68 tackles, 13 pass breakups, and four interceptions. As of right now, he is committed to play football for the Ragin’ Cajuns of Louisiana Lafayette. Herschel Carter is the biggest sleeper in the state as a safety or corner. The only reason that he isn’t a huge recruit because Neville has a couple of D-I defensive backs of their own. Carter is tall and long kind of like Harris from Plaquemine. He is only going to be bigger at 200 or 210 pounds and can run a 4.5/40. 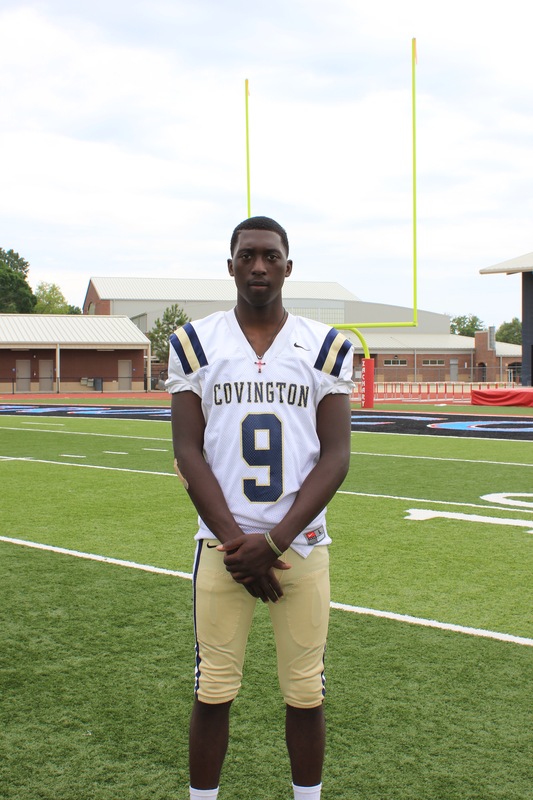 Jabari Coston is being recruited by a lot of schools because he is tall, big, and can move. The only thing is that I want to see him on run support more like Harris (Plaquemine) but he is an athletic specimen for sure. When the season is over, Coston likes to hang out with his family. 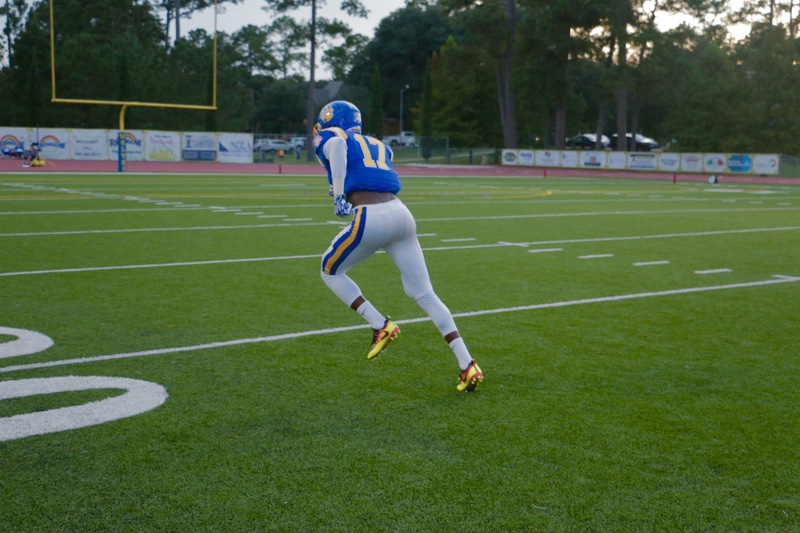 Kenan Fontenot is the best defensive back in the Lake Charles area. Fontenot is very gifted, has great hips, plays great man coverage, and runs a legit 4.4/40. I think he has SEC ability but has not gotten that quite of attention yet. His top schools are Louisiana Tech and Stephen F. Austin. When the football season is over, Fontenot likes to ride four wheelers. If you put Loftin Keys and Todd Harris together, they look the same. They are both tall, long, athletic, and gifted. I think Keys is a great run support player while Harris is a better pass coverage player. He is a freakish looking player in built and speed. Orlando Puryear is a very gifted kid and can play for anybody in the country. 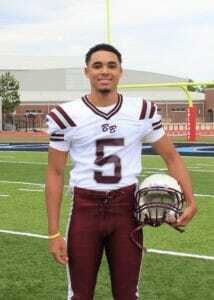 I think he is the best cornerback to come out of Evangel Christian since a guy named Phillip Geiggar who played with the Texas Longhorns in the early 2000’s and has a chance to become one of the best defensive backs to come out of the school which is saying a lot. He can run a 4.40/40, cover man to man, and very aggressive when it comes to defending the run and the pass. Not many corners can do both like Puryear can. When the football season is over, Puryear works a job and helps babysit his siblings. 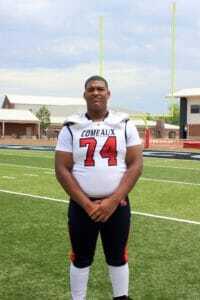 He has an offer from Alcorn State but has received interests from other schools. Jeremiah West is very gifted and the best corner to come out of St. Augustine since Tyrann Mathieu (LSU and the Arizona Cardinals). Jeremiah reminds me of Tyrann because he is not tall but has very long arms for his size. He is someone who has freakish skills when it comes to his jumping ability. Jeremiah can outjump receivers that are five to six inches taller than him easily. As of right now, Jeremiah West is committed to the University of Louisiana Lafayette but it is going to be tough for the Ragin’ Cajuns to hold on to him. An interesting fact about Jeremiah is that he actually started as a drummer for the marching band before starting football in his sophomore year. Tre’ Swilling is gifted but his brother Bruce Jordan-Swilling is more advanced. Swilling is going to be great in college and can run a 4.4/40. He has got to improve in run support and tackling like a lot of corners in the state. Kevin Berthey has all the tools and is the complete package when it comes to being a cornerback. He is the best cornerback to come out of McDonogh 35 since Delvin Breaux who is currently playing for the New Orleans Saints. He is very long and very good. I am excited to see how much better he is coming up. Last year, he had four interceptions, one touchdown, 17 tackles, a fumble recovery, and 23 pass breakups. 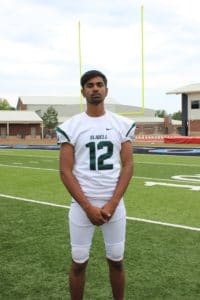 Berthey has received offers from Mississippi State, Troy, McNeese, Ball State, Southeastern Missouri, Prairie View A&M University, Jackson State University, & Louisiana College. When the season is over, Kevin Berthey likes to swim and play tennis. 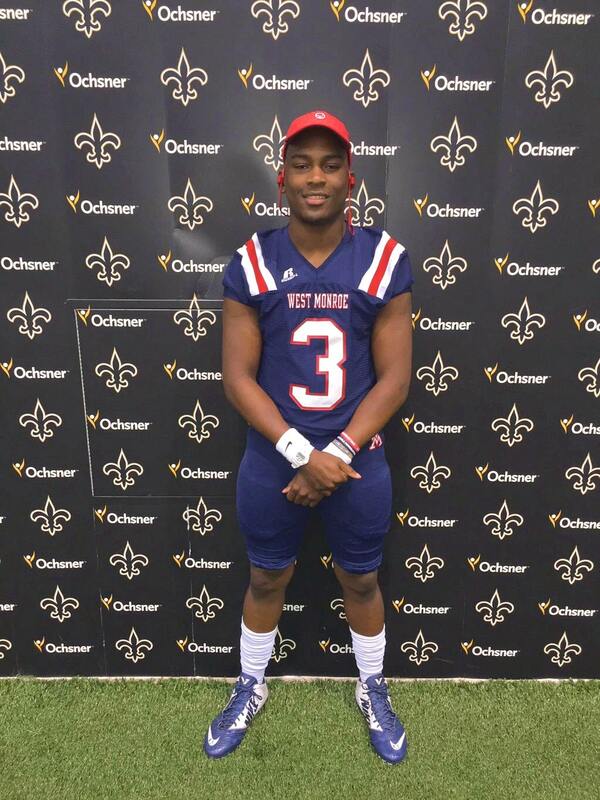 Tywonne Harris is a phenomenal player in the Baton Rouge area and probably the best prospect to come out of the school since Mewelde Moore (former running back for Tulane, Minnesota Vikings, and the Pittsburgh Steelers). Harris can play for anybody but schools need to recruit everybody the same to get the best players because he is a freak athlete. 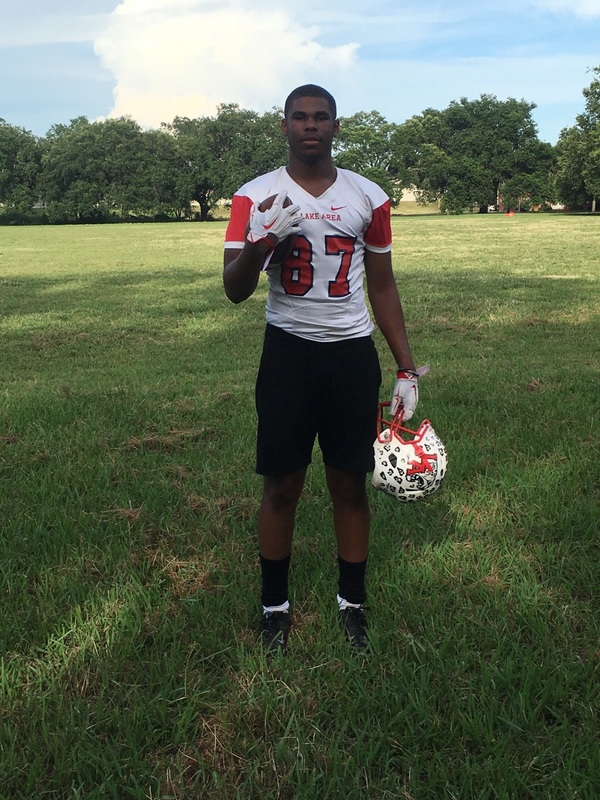 Vincent Wilson is the best skilled player on defense in Lake Charles. Wilson is a great football player that also has a high football I.Q. I would sign him because he is a tough football player who can run. Next: LAFM TV 11th Season Kicks Off Today!